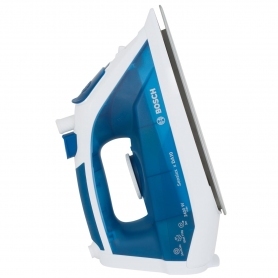 Ironing doesn’t have to be your most dreaded chore – smooth creases effortlessly with the TDA1070GB. 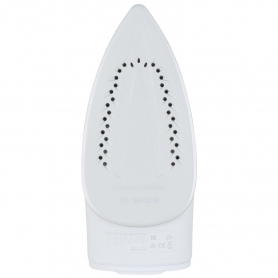 Its special soleplate glides over fabrics, for flawless clothing in seconds. With 2400 W of power, the Sensixx DA10 offers amazing results. 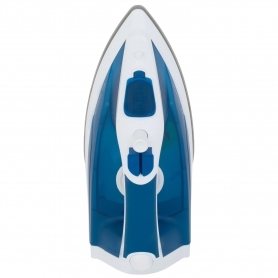 There’s a 30 g per minute steam output for everyday crease removal, and an extra 110 g boost for those tough heavy fabrics. From your delicates to those crumpled cottons and denims, you’ll be able to get through the laundry basket in no time at all. 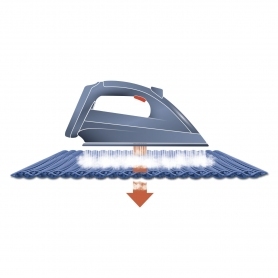 A water spray function provides a little help by dampening stubborn creases. There’s even a drip stop system to prevent leaks. Palladium is a strong yet lightweight metal which effectively resists corrosion. 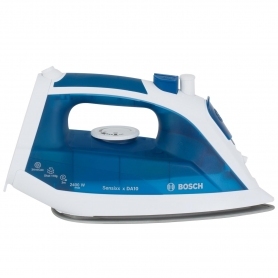 It’s often used in jewellery, but is also perfect for the soleplates of irons. 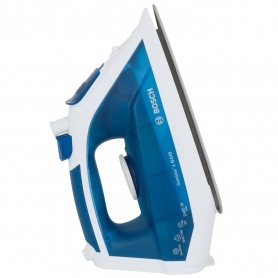 This Palladium Glisséemodel glides over fabrics smoothly and effortlessly, for fast and efficient ironing. The front tip is pointed, allowing you to get right into the folds of a shirt. An integrated anti calcium system ensures it is always working at its best. 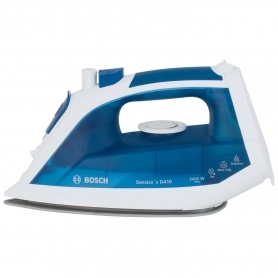 This uses water and steam to prevent scale from clogging the vents and inner systems, for a longer lasting iron. 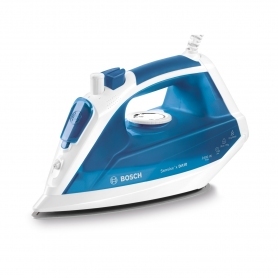 Home experts Bosch don’t cut any corners when it comes to quality. 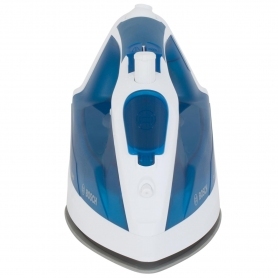 Every aspect of the Sensixx DA10’s design has been carefully thought through, right down to its ergonomic shape. The handle has a soft touch grip and a thumb rest for extra comfort. Large buttons are easy to see and use, making it virtually impossible to accidentally burn a piece of clothing with the wrong setting. 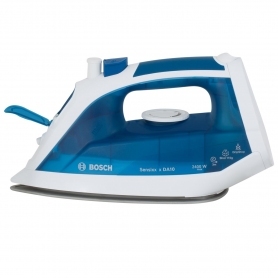 This is a great value steam iron. Achieve impressive results for an affordable price - click Add to Basket to buy yours.